Spirits expert and master bartender Rich Woods gives us a rundown of his five favourite whiskies (that don't break the bank) for Burns Night. 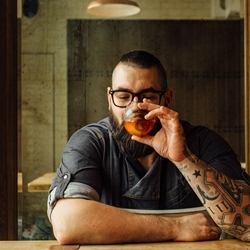 Rich Woods (aka The Cocktail Guy) is an award-winning bartender known for his unique creations and is at the forefront of bridging the gap between the worlds of food and liquid. On 25 January 1759, poet, Robert (Rabbie) Burns was born. To celebrate, the Scottish hold an annual supper to toast to the life, works and spirit of one of their favourite sons. Though this celebration was originally a small gathering at Burns’ cottage, it has now grown to become quite the social occasion for many expats living as far afield as New Zealand. Suppers can range from an informal gathering of friends to a huge, formal dinner full of pomp and circumstance. Be it formal or informal, the occasion typically includes the serving of haggis and the recitation of works by, about and in the spirit of the poet. Towards the end of the night Scotch whisky is served so the guests can toast, while the climax of the evening sees attendees stand to sing Auld Lang Syne. 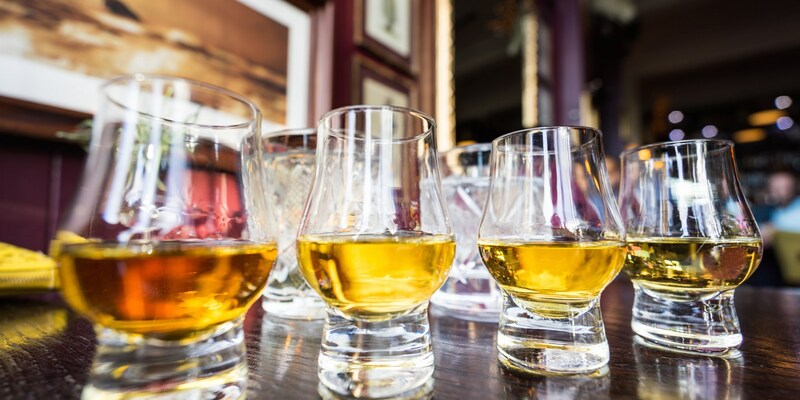 Whether you choose to celebrate Burns Night with friends, attend a formal dinner or just want to raise a glass, one thing’s for sure; no Burns celebration is complete without some fine Scotch whisky. So dust off your tartan, pipe in your haggis and raise a wee dram with some of the best pocket-friendly Scotch whiskies around. Once described as tasting like 007 wearing a tuxedo wetsuit, Monkey Shoulder is a splendid blend of Scotch whiskies from three different neighbouring distilleries. An incredibly smooth and creamy dram when served neat, but in my opinion it excels in cocktails. This particular Scotch reminds me of marmalade when I take a whiff, with undertones of vanilla. On the palate I get berry fruit, clove and butterscotch with a spicy finish. Once described as tasting like 007 wearing a tuxedo wetsuit, Monkey Shoulder is a splendid blend of Scotch whiskies from three different neighbouring distilleries. A heady note of juicy fruit and thick creamy malt, with rather floral and quite sweet notes of almond and honey. The palate reveals some liquorice spiciness with a little smoke. Great as a mixer in a cocktail or simply poured over ice. A classic Speyside Scotch and a staple behind most bars, due to its universal appeal. Slightly floral on the nose with a developing honey and citrus aftertaste. There’s slight spice on the smooth-tasting palate with hints of dried fruit and oak. In short, a good benchmark. This entry level whisky from Scotland’s most northerly distillery is again a great example of a bottle to stock in the home bar. It’s fresh and clean with plenty of aromatic lift on the nose, with hints of honey and citrus. Ripe orange and tea notes with a peppery finish is what I get on the palate. It lingers lovingly for a while with a woody undertone. Though this is a slightly more expensive Scotch, its subtle mellow finish (matured in ex-rum barrels from the Caribbean) makes this an incredibly simple sipper. Expect vanilla and toffee notes and extra sweet honey flavours with a slight raisin finish. If you’re not really a neat Scotch drinker, then consider the below alternatives. The first is a simple spiced sugar syrup, which when added to whisky will lift the flavours and aroma and mellow everything out. The second is a riff on a classic whisky sour, using everyday household items but with a real difference. In a pan over a medium heat, add 250g of sugar and a pinch of salt. Allow to caramelize and thicken. Pour in 250ml water and stir. The burnt sugar will harden but don’t worry; simply continue to stir over the heat to re-melt. Add in another 250g of sugar, a split vanilla pod or half a teaspoon of vanilla essence and three sprigs of rosemary. Reduce the heat and allow to infuse for around twenty-five minutes. Strain through a cheesecloth or similar and allow the syrup to cool. To spice up your Burns Night dram, simply add two ounces of your chosen whisky to a glass and measure out 1-2 teaspoons of the spiced caramel and stir to mix. Add a handful of ice cubes and an orange zest to garnish. The whisky sour is an all-time classic. This though slightly laborious take on the cocktail adds a lovely lift of flavour and the silkiest of textures. It’s The Highlands in a glass. In a pan, over a medium heat. Add 250g of sugar and 250ml water. Once the sugar has dissolved, add a packet of rosemary sprigs. Reduce the heat and allow to infuse for around half an hour. Strain through a cheesecloth or similar and allow the syrup to cool. Add 50ml whisky, the juice of half a lemon, an egg white, a drizzle of olive oil and 20ml of the rosemary sugar syrup into a cocktail shaker and shake hard for thirty seconds. The olive oil will emulsify the egg white and other liquids, creating a really silky texture. Open the shaker and fill with cube ice, then shake again for a further ten seconds. Double strain the liquid over fresh cube ice in a rocks or a lowball whisky glass. Garnish with a sprig or rosemary and a drop of oil. For more cocktail ideas, follow Rich on Twitter and Instagram.